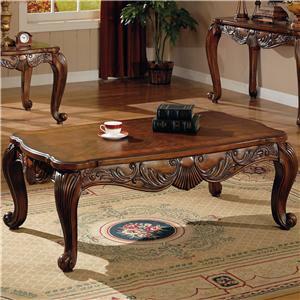 Provide the perfect centerpiece in your living space with this cocktail table. 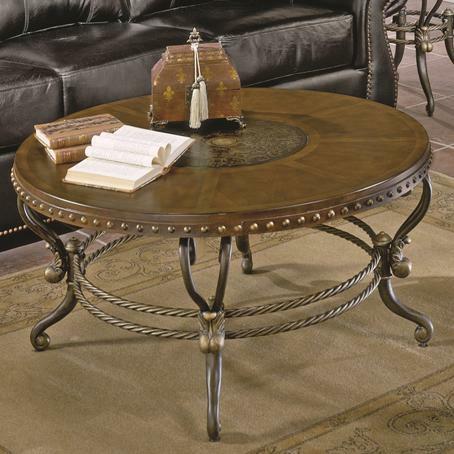 This unique piece features the look of leather edge banding with large nail head accents surrounding the round table top with an etched center motif. 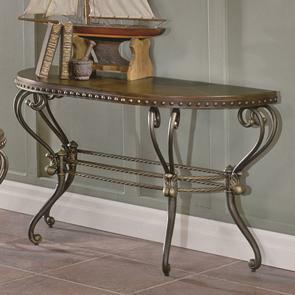 The shapely metal legs and twisted metal supports complete the elegant traditional style. 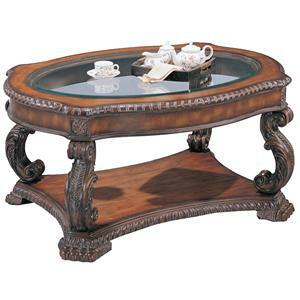 Pair with the matching end table and sofa table. 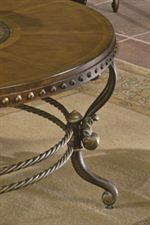 The Jenkins Traditional Round Shapely Cocktail Table with Etched Center Motif by Homelegance at Value City Furniture in the New Jersey, NJ, Staten Island, Hoboken area. Product availability may vary. Contact us for the most current availability on this product. The Copeland occasional group shows a strong personality with the look of leather edge banding and etched center motifs. 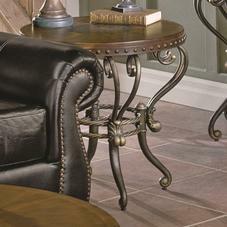 Featuring a curved metal base and a rich warm tobacco finish. The Jenkins collection is a great option if you are looking for Traditional furniture in the New Jersey, NJ, Staten Island, Hoboken area. Browse other items in the Jenkins collection from Value City Furniture in the New Jersey, NJ, Staten Island, Hoboken area.